Next year’s Basecamp will be on Friday 31st January – 2nd February 2020. We will post a link to book on soon, until then we look forward to seeing you at Base on Saturday 14th September at Whitnash Methodist Church! The purpose of the weekend is to gather youth groups from across Warwickshire together to worship God, build friendships and have fun! 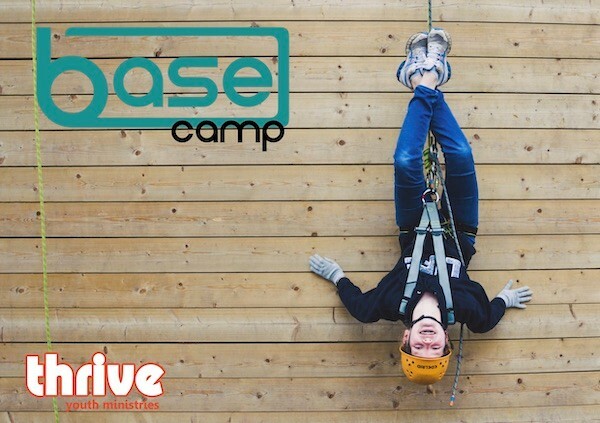 It’s called BaseCamp because we all need to retreat back to God’s base, to learn more about him, how to live for Jesus and to live life well by his Spirit. This weekend is a chance for local youth groups to come together, to deepen existing friendships and develop new ones, and to see that there are more Christian young people around than you might think! If you are in school years 7-13, then you are welcome to come along, and bring your youth leaders! Bring your youth group and your youth leaders, we want to gather all together. It will be your youth group, joining together, having fun, learning and growing alongside other youth groups doing the same, sharing space and time, and building connections. 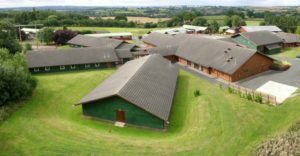 It all takes place at the Pioneer Centre, Shropshire. if you’ve been before, you’ll know what a great place it is, with fantastic facilities and food. Bring your youth group. It’s always great fun! chance to develop deeper friendships with each other – and God. It starts on the Friday evening, ending on Sunday afternoon and age groups in school years 7-13 can come. This is our theme for our next Basecamp. We will be hearing about how we can make the most of life, be bold in our choices and live lives that make the world a better place. We’ll chat together and encourage each other to live a life of adventure, rooted in a relationship with Jesus. The purpose of these weekends is take all the pressure off your shoulders in organising a weekend away, and to allow you to spend time investing in the relationships with your young people. Thrive will organise all the content, worship, teaching, activities and admin for the whole weekend, allowing you to do what you are called to do: to invest in your young people. This isn’t a weekend to send your young people on – it’s a weekend to bring your young people to. 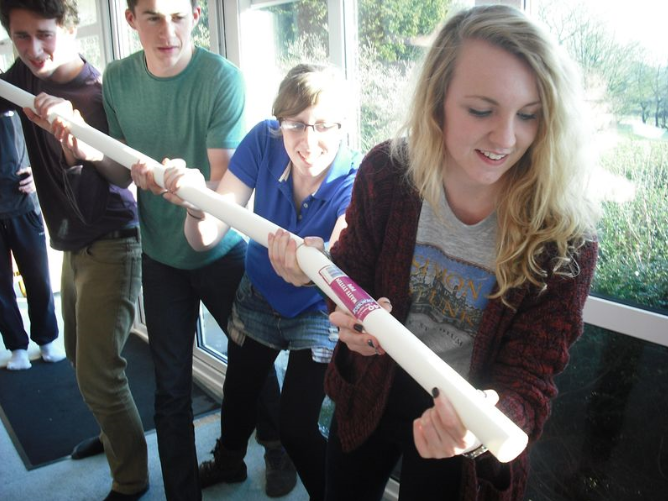 We create an environment for both young people and adults, to interact. So we ask every church who send young people on the weekend to provide at least one adult, DBS-checked leader to be responsible for your youth. Please supply at least one adult for every 8 young people. Thrive works hard to maintain church unity across a diverse churchmanship. In the interest of unity, Thrive is a local mission partner of Scripture Union. For our youth weekends, we ask that all adults attending the weekend read and agree to respect the basis of faith and lifestyle guidelines explained in the ‘Ministry with Scripture Union‘ leaflet. To help you promote the weekend with your youth group, we have postcards and posters available. Do get in touch if you would like copies. You might also like to use this highlights video from last year.